This week Bob will be joined by outdoorsman and South Carolina Commissioner of Agriculture, Hugh Weathers. 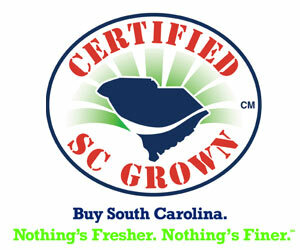 Hugh is an avid outdoorsman and conservationist and will discuss the Agriculture Departments SC Certified Grown program. Bob will also hunt the Martin Eubanks, Asst. Commissioner of Agriculture, and Buddy Jennings the former SC Parks & Recreation Tourism Director while walking behind some pointing bird dogs at Backwoods Quail Club. Tune in this week for some great upland bird hunting action. This entry was posted in Episode, Featured Stories, Fox Sports Net - This Week and tagged Backwoods Quail Club, Buddy Jennings, Hugh Weathers, Martin Eubanks on 06/28/2015 by BROM.